I’ll be at the Baked Potato in LA for one final 2017 show on Fri. December 29. This will be a special Mike Keneally Band show with Bryan Beller, Rick Musallam, and Chad Wackerman on drums who we are honored to share the stage with for these two sets. I very rarely get the opportunity to play with Chad – this will be only the fourth time since 1988 – so I’m looking forward to this greatly. We’ll be doing some songs of mine that haven’t been played in the USA for quite a few years…along with tunes by Jimi Hendrix, Frank Zappa and Pavement, plus a healthy dose of pure improv. I’m excited. Tickets await you at this juicy weblink. January 11 marks the beginning of the next round of heavy Joe Satriani activity. The band this time consists of Joe S., me, Bryan Beller, and none other than Joe Travers on drums! For as long as Bryan and I have been playing with Joe T., this is the first time we’ll be doing anything close to this quantity of worldwide touring with him, and I’m looking forward to sharing this experience with him as he’s one of my most favorite people. I’m very glad that so many new listeners will be experiencing his absurdly awesome drumming. We’ll be playing (as the youngsters say) “a heck of a lot” in 2018, starting with a bunch of G3 touring in the US and Europe. For the US leg (January 11-February 25) the other “G”s on the bill will be John Petrucci and Phil Collen from Def Leppard; in Europe (March 16-April 30) our bill-mates will be Petrucci and Uli Jon Roth. Will these be the guitar events of the seasons? Simply put, yep! A couple of weeks ago we had a week of rehearsals, breaking in the new tunes from Joe S.’s new record What Happens Next and working Mr. Travers into the band. It’s a very different show we’ll be presenting this time around and it’ll be a stone pleasure bringing it to a bunch of you. All the info you need to know ’bout these shows has been gathered up for you at this handy web portal. More dates for the rest of the year will be announced soon. 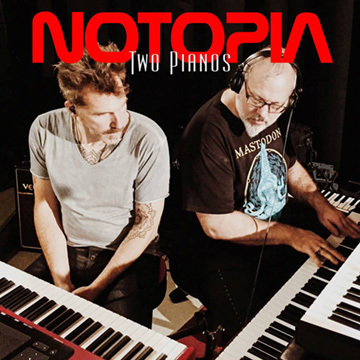 Last year while I was in Europe, right after touring with Jaan Wessman and Schroeder as The Mike Keneally Report, Jaan and I joined our friends Marc Mennigmann (keyboards), Peter Alexius (guitar), and Sven Kosakowski (drums) – the three of them are the nexus of an ongoing music project called NOTOPIA. The five of us convened for a couple of days of improvising inside of Goldsound Studio in Hohenlimburg, Germany. 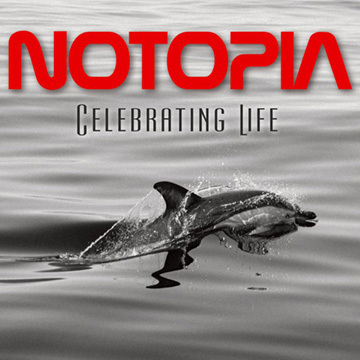 Marc then spent many intense months forming the best of the sessions into a wonderful album called Celebrating Life. 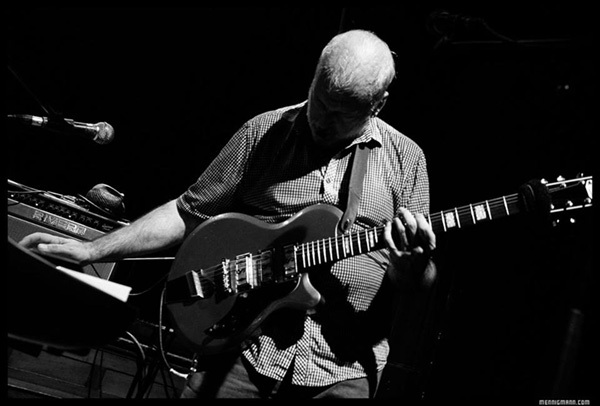 I asked the extraordinary Peter Hammill if he’d be interested in creating vocal tracks to go along with a couple of industrial-ish drones we’d laid down in the studio, which he did almost immediately upon being asked, and to absolutely astonishing effect. The album also contains outstanding vocal contributions from Mimi Ventura and Divinity Roxx. It is a special release indeed. I played guitar for the vast majority of the sessions, but at one point I joined Marc at his keyboard station for two improvisations, which Marc fashioned into a separate release, Two Pianos. Together these two releases do a remarkable job of capturing the friendship and creativity at play in the studio. I hope you “enjoy the holy heck” out of them. J ust in time for this very special season, the brutally brilliant Panzerballett from Germany, featuring the ferocious and brilliant guitarist Jan Zehrfeld, has created a remarkable album called Xmas Death Jazz, containing extremely powerful and inventive new versions of some of your holiday favorites. I was most grateful to be asked to sing on “Let It Snow,” which is legitimately one of my favorite Christmas tunes, and it was great fun to record my tracks at Double Time studios with Jeff Forrest, the engineer on my very earliest solo albums. 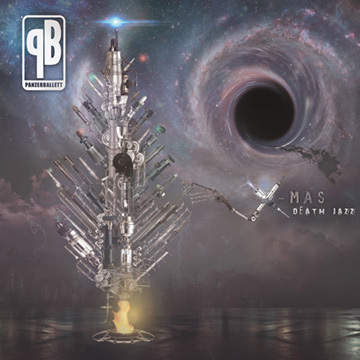 You won’t believe Jan’s arrangement of this song, and you would do well to invite the magic of Xmas Death Jazz into your life, which also features guest performances from Mattius IA Eklundh and Jen Majura. Here’s a page that Anthony Garone of Make Weird Music put together to celebrate the album. Finally, I was delighted that, last year while I was on the road with Beer For Dolphins, the quite unbelievably talented Ben Levin from Bent Knee made it his mission to find me somewhere on the road, set up his portable recording rig and capture some guitar work. We ended up meeting at the Rhode Island home of my friend David Brady on a Sunday morning, before BFD had to undertake a very long drive that day. With very little time to spare, Ben showed up, set up, and a sufficient quantity of guitar craziness was captured. I had no real idea what Ben would do with it – and what he ended up doing was THIS amazingly intense track, “The Gods Are All Right.” Ben also did the animation for this video. It’s phenomenal work. He is a creative powerhouse and I’m delighted to have done this collaboration with him, and hopeful that it leads to more. The track is available here. Yes the gods are all right and you folks are all right too, for reading this and for continuing to hang with my own ongoing story. Thank you for everything, happy holidays and let’s all do what we can to have a fantastic 2018. A big tall thank you also to Scott Chatfield for keeping these Keneallists going out to you for all these years, and for everything the “heck” else he does. Salute! Now let’s all have a good time!